The Family History of Dr. John A. Kendrick and Matilda Erwin. My paternal grandmother Versie Gertrude Jones was born on January 8th, 1900 in Stantonville Tennessee to James Lafayette Jones and Betty Elizabeth Blankenship. 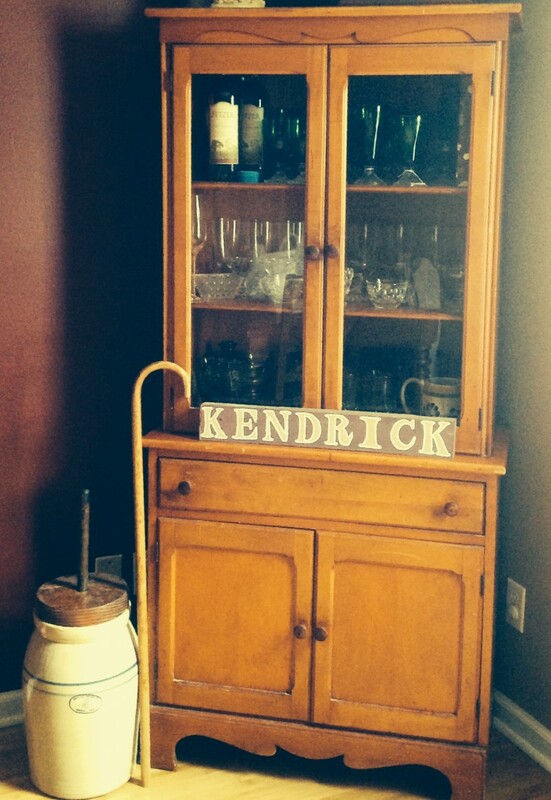 She would become the matriarch of our branch of the Kendrick Family. Versie came from a huge family as both of her parents had previously been married and both had started families with their respective spouses. Once together James and Betty would go on to have six children together. In December of 1916 she married my grandfather, James Lacy Kendrick. She would have a daughter born of an affair and two biological sons by James Lacy. My father is the youngest of her three children. She passed away when I was barely three months old. My mother and father told me that after I was born she embraced my mother and father and told them she was ready to go home, that they had someone to love. She was suffering from cancer at the time. While I never knew her personally she was someone that the stories painted bigger than life. For most people they have that one person that they wish they could meet and spend time with. For me she is that person. What I would not give to have a seat at her Sunday dinner table and taste the still famous chicken and dressing recipe passed along to future generations. In the picture above is her china cabinet, and majority of 50’s glassware, butter churn and walking cane. All of which have a prominent placement in my dinning room, however, she has a very prominent place in my heart. June 13th, 1900 Census for Tenth Civil District in McNairy County, Tennessee lists Versa Jones, age 5 months, born in January 1900 in Tennessee with both parents born in Tennessee. She is enumerated with her parents, James L., age 39 and Elizabeth, age 40. She is enumerated with her half siblings, brother, Clarence Brown, age 18, and sisters, Leander, age 16 and Maudie, age 14. Completely biological siblings included, Oscar, age 9, Henry, age 8, Annas, age 4 and Detrus, age 2. Source Citation: Year: 1900; Census Place: Civil District 10, McNairy, Tennessee; Roll: 1586; Page: 6A; Enumeration District: 0083; FHL microfilm: 1241586. May 3, 1910 Census for District Number 10 in McNairy County, Tennessee lists Versa Jones, age 10, born in Tennessee with both parents born in Tennessee. She is enumerated with her parents Jim L., age 48, born in Tennessee and Bettie J., age 41, born in Tennessee. She is also enumerated with her siblings; Annas, age 15, Detras, age 12, Willie, age 6. Her and her siblings have attended school since September 1, 1909. Source Citation: Year: 1910; Census Place: Civil District 10, McNairy, Tennessee; Roll: T624_1511; Page: 9B; Enumeration District: 0143; FHL microfilm: 1375524.
to which payment, well and truly to be made, we bind our heirs ,executors and administrators, and each and every one of us and them, both jointly and severally, firmly by these presents. That whereas, Lacy Kendrick hath prayed and obtained a License to marry Versie Jones. Now, if the said Versie Jones be an actual resident in the County aforesaid and there shall not heretoafter appear any lawful cause why the said Lacy Kendrick and Versie Jones should not be joined together in Holy Matrimony as husband and wife, then this obligation to be void and of no effect; otherwise to remain in full force and virtue. Witness our hands and seals, the 19th day of December, 1916. State of Tennessee, McNairy Coutny. he said Lacy Kendrick, having given bond and security agreeably to the Act of General Assembly in such case made and provided. Given at the Clerk’s office of said County, this 19th day of December, 1916. Source Information: Ancestry.com. Tennessee State Marriages, 1780-2002 [database on-line]. Provo, UT, USA: Ancestry.com Operations Inc, 2008. Original data: Tennessee State Marriages, 1780-2002. Nashville, TN, USA: Tennessee State Library and Archives. Microfilm. January 20th – 21st, 1920 Census on Shiloh Battlefield Road in Civil District No. 10, McNairy County, Tennessee lists Versie Kendrick, age 20, born in Tennessee with both parents listed as born in Tennessee. 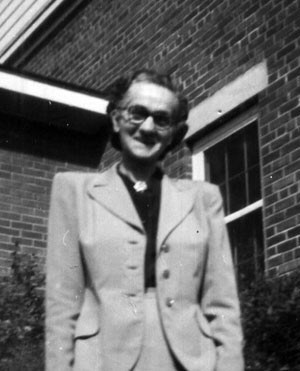 She is renting her home and is enumerated with her husband, James, age 34, born in Tennessee. Both Lacy and Versie are able to read and write. They are living next to James’ maternal grandmother, Martha Ray and aunts Florence James and Donie May. Source Citation: Year: 1920; Census Place: Civil District 10, McNairy, Tennessee; Roll: T625_1753; Page: 9B; Enumeration District: 138; Image: 780. April 17, 1930 Census Island 37, 11th Civil District of Tipton County, Tennessee lists Versie Kendrick, age 30, born in Tennessee, with both parents also born in Tennessee. Her age at first marriage is listed as 16. Enumerated with her is her husband, her daughter, Mary E., age 4 years and 3 months also born in Tennessee. They live next too Versie’s brother Oscar Jones and his wife Nancie and their children. Source Citation: Year: 1930; Census Place: District 11, Tipton, Tennessee; Roll: 2282; Page: 1A; Enumeration District: 24; Image: 1094.0; FHL microfilm: 2342016. April 15, 1940 Census Little River Township, Poinsett County, Arkansas lists Versie Kendrick, age 40, born in Tennessee. She is enumerated with her husband J.L., age 55; children, Mary Elizabeth, age 14, James Ray, age 8, and Robert J., age 5. Five year prior the family lived in rural Poinsett County, Arkansas. Source Citation: Year: 1940; Census Place: Little River, Poinsett, Arkansas; Roll: T627_162; Page: 9A; Enumeration District: 56-11. Good blog. I can see a lot of work went into this. Thanks! Starting to get the hang of blogging. It is a great way to display ones family history. More to come for sure!